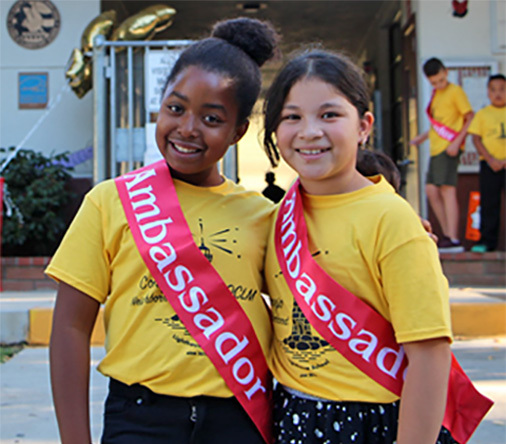 The Conejo Valley Unified School District (CVUSD) believes ALL students deserve an exceptional educational experience filled with opportunity and choices. At CVUSD, we have the right fit for every family and we believe each child has unique gifts to discover. Our schools are positive, safe and inviting learning environments. We believe in a partnership between the community, parents, students and faculty. While teachers are the heart of education, physical surroundings also provide support. Our schools are equipped with safe, well-equipped, and comfortable classrooms. Thanks to the passage of Measure I, a $197M school facilities bond, CVUSD continues to modernize its facilities to provide state-of-the-art learning experiences to meet the needs of the families served. Implement targeted actions and services that support positive student outcomes. Ensure highly qualified and effective staff are provided with targeted professional development, and have an understanding that all job responsibilities are structured to support positive student outcomes. Provide communication and targeted outreach that informs the community of programs & opportunities that support positive student outcomes. Enhance the social, emotional and physical well-being for all students through targeted actions that support positive student outcomes.